Are you sitting down? Good, now take several thousand grains of salt and take two relaxing breaths. 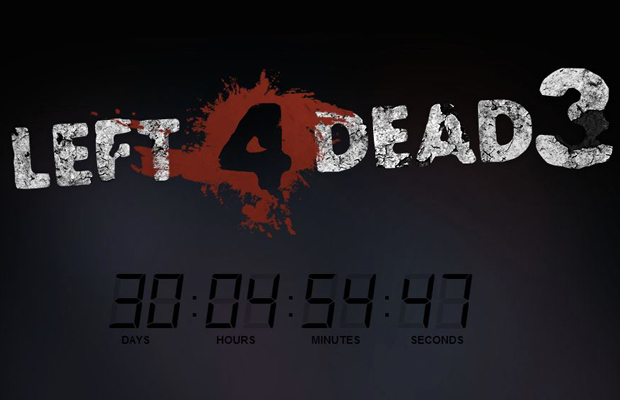 A suspicious looking URL has just been uncovered that appears to be a countdown clock for Left 4 Dead 3, complete with a Source 2 logo. When it comes to Valve rumors, I’m as skeptical as it gets. With something like this, I’m almost positive this is a fake. However, the lovely Doug Veney looked at the source code of the site, and found some similarities in terms of structure and file paths when compared to Valve’s official Left 4 Dead site. This doesn’t confirm that this L4D3 site was made by Valve, but it gives a tiny bit of credence to that theory. However, this seems far too obvious to be the work of those geniuses from Bellevue. We’ll be reaching out to Valve and will update this post when we hear back.